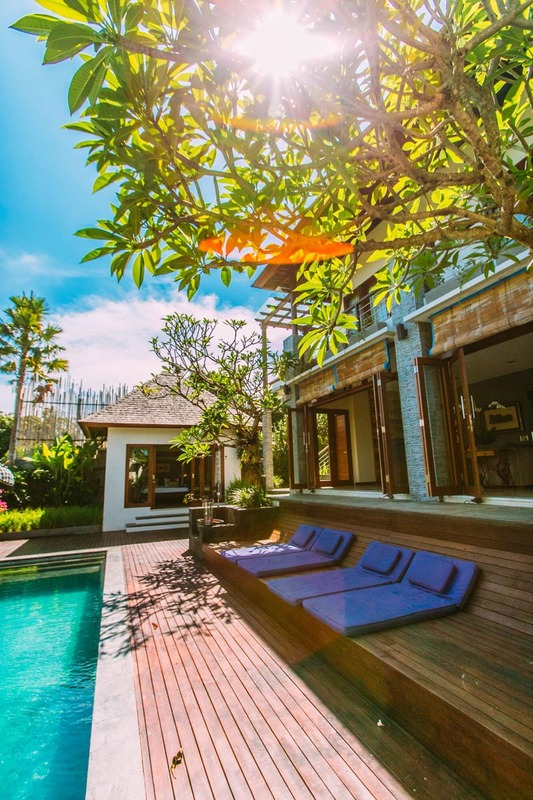 Jabunami Villa is a huge four bedroom Villa situated on the edge of Canggu, which in my opinion is one of the best areas to stay in Bali. 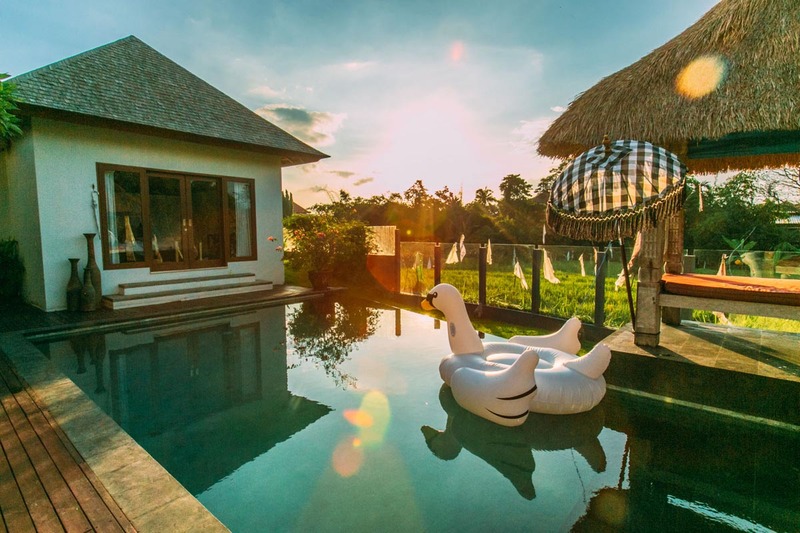 It’s got a thriving community vibe, an abundance of rice paddies, easy access to the beach and great food nearby. 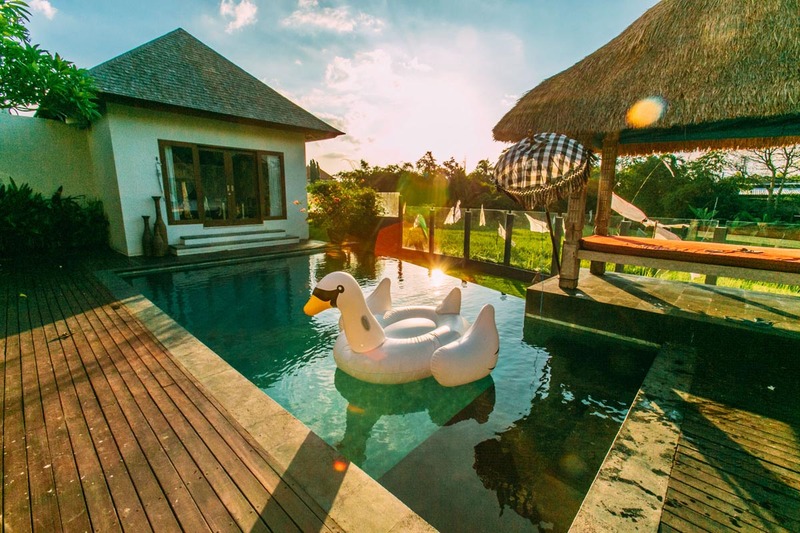 The Villa itself is huge and perfect for families or groups of friends that are wanting to come to Bali. The living room features large sliding french doors, allowing for really open outdoor/indoor living. There is a beautiful Pool located in the centre of the Villa, giving the place a nice feng shui flow. 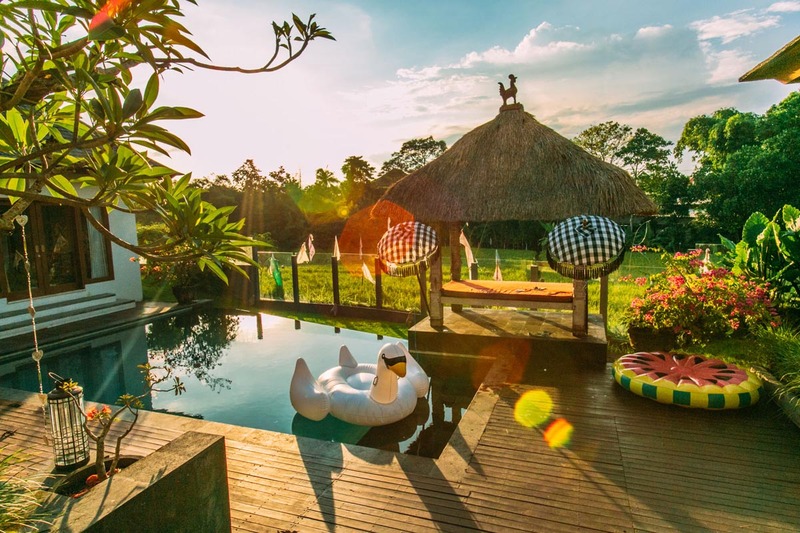 Some inflatable Pool toys, including one of those lux swans, made lounging here during the day a relaxing but fun experience. 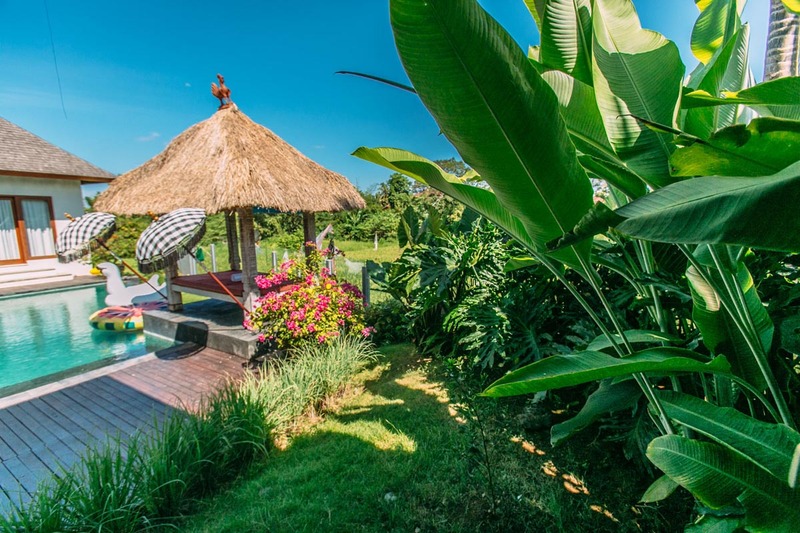 Next to the pool there’s also a outdoor Gazebo, perfect for a lazy afternoon nap, or a refreshing meditation session. 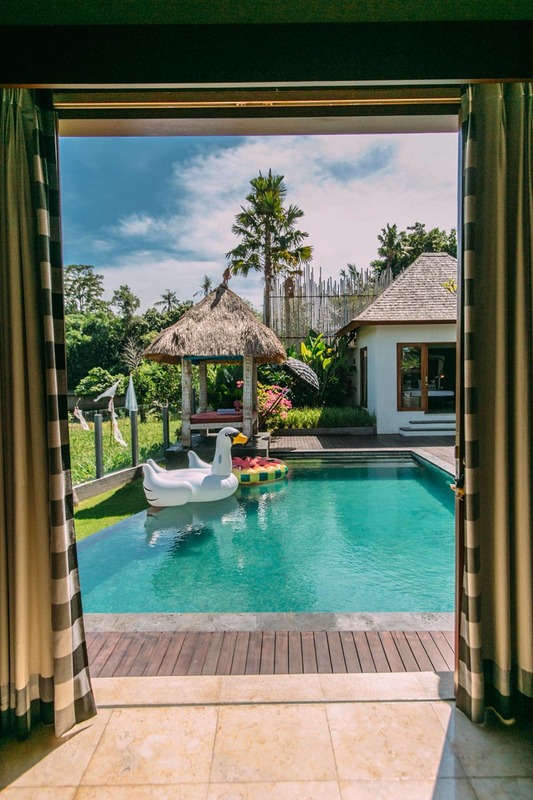 The pool and outdoor area borders on a traditional Rice Paddy, offering a beautiful backdrop to this already stunning villa. 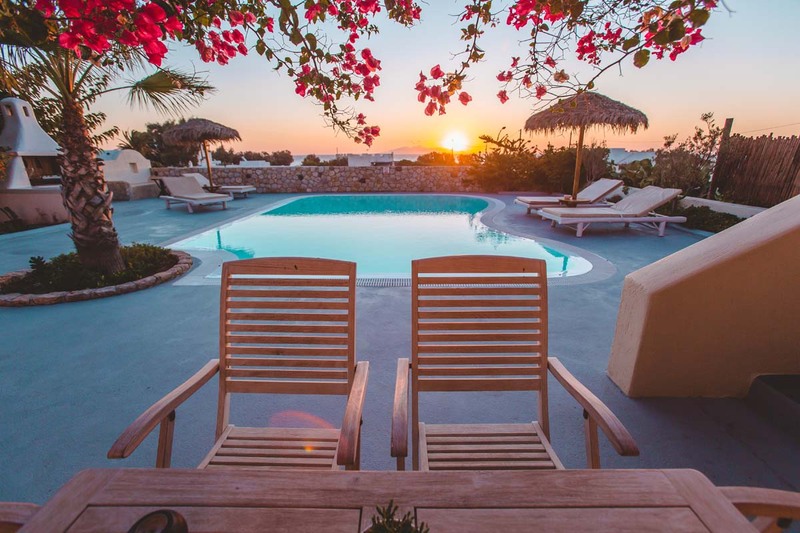 Naturally with a four bedroom Villa all to ourselves, we chose the Master bedroom, which is situated in a detached building to the second bedroom and living and dining areas. 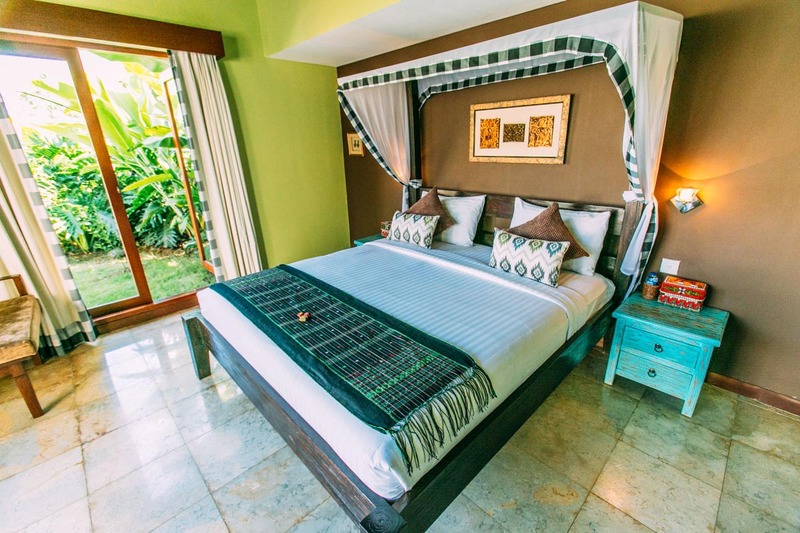 This makes for extra privacy and gives you your own little bedroom oasis with high ceilings, a beautiful white linen master bed complete with large bedframe surrounded by one of the best mosquito nets we’ve ever experienced, when it comes to look and practicality. The bedroom also comes with it’s own huge master bathroom, which won’t disappoint. 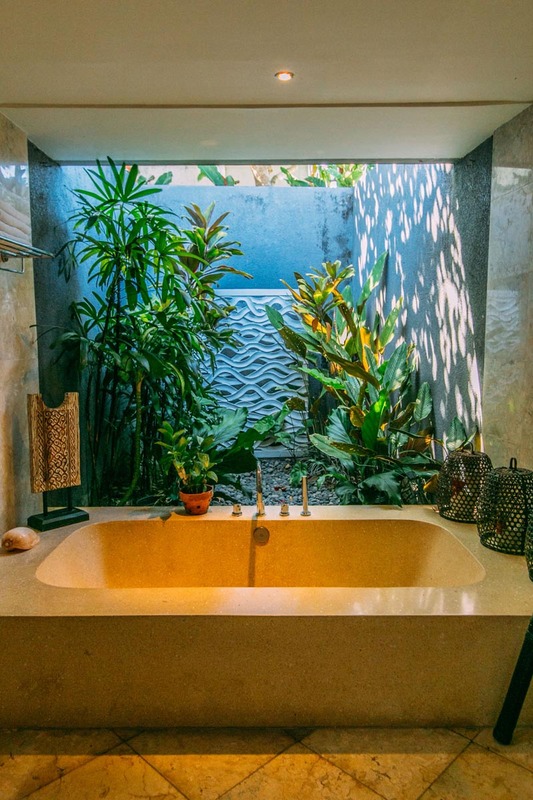 There are two separate stone sinks on either side, a waterfall head shower and a massive bathtub situated in a rainforest like backdrop with a half open roof. Jabunami Villas provides breakfast every day of your choosing from a range of traditional breakfast dishes, such as Nasi Goreng to western continental style breakfast, fresh fruits, smoothies, baked goods. It’s safe to say we were well feed and looked after our entire stay. 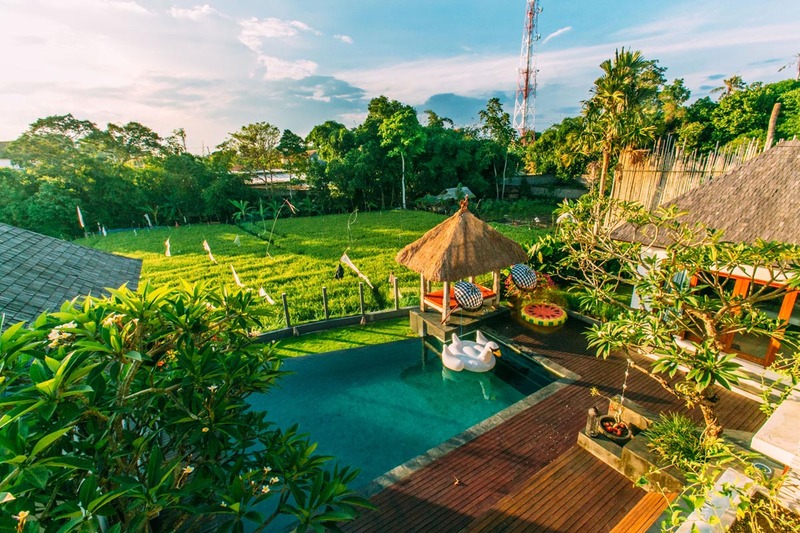 The Villa’s staff were also available to to cook other meals if you wish and they have an extensive seafood grill menu, Indonesian menu and BBQ menu available to guests. While we didn’t use this service, we feel safe to say anything the staff prepare would be delicious judging from our breakfast meals ever morning! Impeccable. If there’s one thing this Villa has that really sets it apart, it’s the staff, they’re attentive, onto it and caring. Jabunami Villa’s manager Made was such a pleasure to meet and made sure our every desire was met, from coconuts to cocktails and even chicken soup when I sadly got Bali Belly from some Mexican food elsewhere! 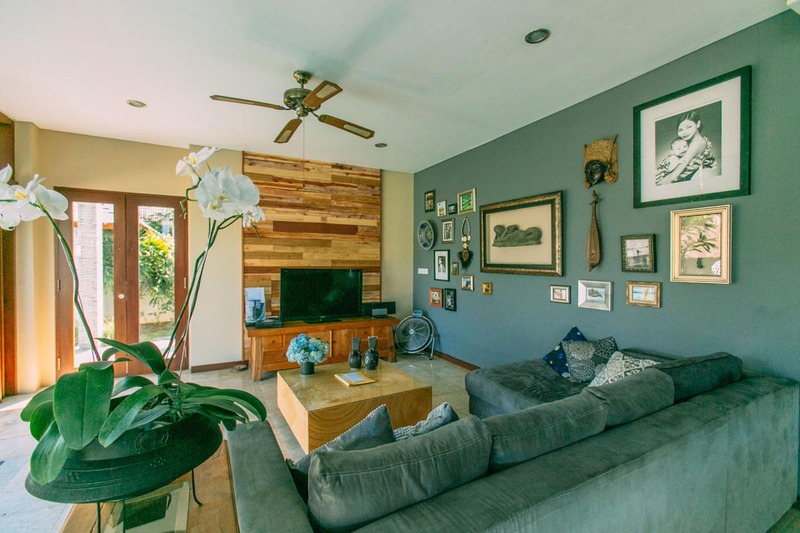 For Bali Wifi (which is never 100% reliable in speed or connectivity) Jabunami Villa’s Wifi was more than okay and made emails, uploads and watching YouTube a breeze! 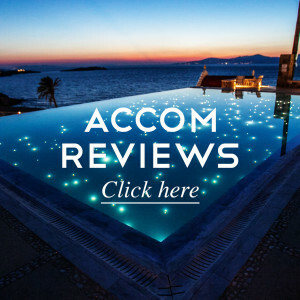 We highly recommend this accommodation option for your stay in Bali. Rochelle is the founder of Wanderlife.tv. 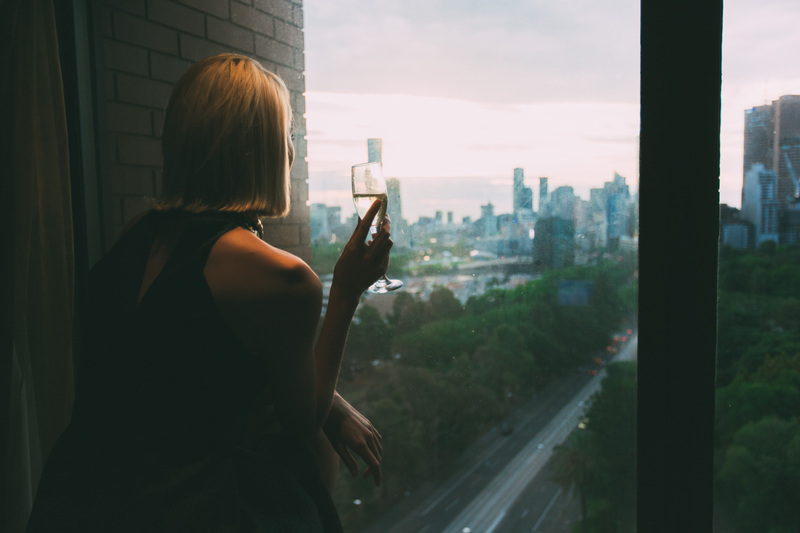 She's a big thinker, a dreamer and full time wanderer.